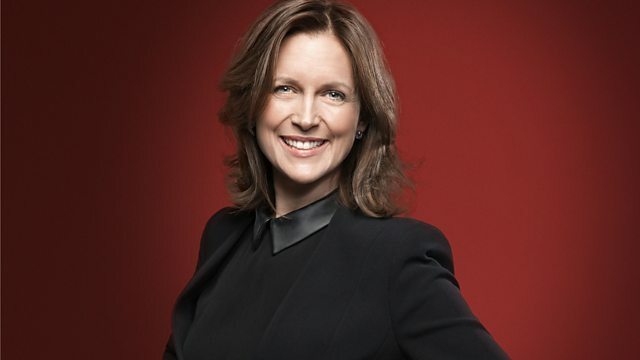 As part of Radio 3's Shakespeare season, Katie Derham presents a concert performance given in Barcelona of Rossini's rarely heard opera Otello. As part of Radio 3's Sounds of Shakespeare season, Katie Derham presents today's Thursday Opera Matinee - a concert performance of Rossini's rarely heard Otello from Barcelona with tenor Gregory Kunde taking the title role. Rossini's Otello was written for Naples and first performed in 1816. The libretto, by Francesco Berio di Salsa, was based on a French translation of Shakespeare's play. Although Rossini's version is overshadowed by Verdi's masterpiece, this opera showcases Rossini's dramatic style. There are a few small differences between the two operas - Rossini writes the three main male roles for tenors, and the librettist sets this in Venice rather than Cyprus. Christopher Franklin conducts this concert version from the Gran Teatre del Liceu in Barcelona, with Gregory Kunde in the title role and soprano Jessica Pratt as Desdemona. Singer: Gregory Kunde. Singer: Jessica Pratt. Singer: Dmitry Korchak. Singer: Yijie Shi. Singer: Lidia Vinyes-Curtis. Singer: Marco Palazzi. Singer: Josep Fado. Singer: José Luis Moreno. Singer: Benat Egiarte. Conductor: Gran Teatro del Liceo Chorus, Barcelona. Orchestra: Gran Teatro del Liceo Orchestra, Barcelona. Conductor: Christopher Franklin. Singer: James Gilchrist. Performer: Anna Tilbrook. Ensemble: Fitzwilliam String Quartet. Ralph Vaughan Williams: On Wenlock Edge. The Doge of Venice and all the senators, including a nobleman Elmiro, are waiting for the return of the Venetian fleet, commanded by the North African general, Otello. Under Otello’s command, the Venetian forces have just driven the Turks out of Cyprus, restoring the eastern Mediterranean to Venetian rule. Through the arches at the back of the square can be seen the quayside, thronged with people – ships can be seen approaching, and Otello is proclaimed as a public hero. Otello disembarks and, followed by his two lieutenants, Iago and Rodrigo (the Doge’s son), approaches the Doge. He announces that Cyprus has been liberated and secured against further invasion. His mission is complete, and he lays at the Doge’s feet his own sword and the captured arms and war-flags of the defeated Turkish. forces the Doge asks how the city can reward his bravery and Otello replies that all he wants is that Venice should accept him, a Moor, a son of Africa, as its own. Iago mutters that this is too presumptuous, and Rodrigo replies that Otello’s request is fatal to his, Rodrigo’s, own ambitions. The Doge, however, responds by returning Otello’s unconquered sword, crowning him with the laurel wreath of victory, and confirming that Otello is indeed a son of Venice. Iago and Rodrigo again mutter their disapproval to one another. Otello wonders whether he, an outsider with a different appearance and different customs, can really be accepted, and the Doge tells him that Venice respects heroism without condition. Otello is grateful, and comments to himself that his real happiness will come when love crowns his achievement. Rodrigo overhears this and is incandescent with rage, so much so that Iago has to restrain him, whispering that they must not reveal their plans of revenge against Otello. As the senators and the people leave to celebrate a public triumph ceremony, Otello again talks of love bringing him hope of happiness. Iago moves aside and Elmiro approaches Rodrigo. It now becomes clear that Elmiro has a daughter, Desdemona. Rodrigo is in love with her, and asks how she is. Elmiro replies that she has been weeping and sighing all the time that the fleet has been away. He leaves to join in the celebrations and Iago emerges from the shadows. Rodrigo asks him whether Elmiro is so taken with the Moor’s success that he will sacrifice his only daughter to an unworthy marriage, and Iago replies that Rodrigo should learn to trust him, because he has the means of destroying Otello. He shows Rodrigo a letter, saying that they must maintain silence but act quickly. In a duet, they gloat over their alliance and their plan to bring Otello down. Desdemona is with her maid Emilia. Emilia tells her that now that Otello has returned victorious, Desdemona should be happy again, but Desdemona replies that her earlier anxiety was for Otello’s safety, but that now she is concerned that her father’s hatred of Otello might destroy their happiness. When Otello had left Venice to lead the campaign, Desdemona had sent him a letter containing a lock of her hair, but the letter never reached him – it was intercepted by Elmiro, who read it and assumed that it was intended for Rodrigo. She has received no letters from Otello since then and is terrified that he no longer loves her. Emilia reassures her that lovers often imagine non-existent disasters. Iago approaches and Desdemona and Emilia leave quickly – they do not trust him and Desdemona does not want him to see any anxiety in her face. Iago sees them leave and comments that although he once courted Desdemona he has lost all feeling for her, and since she rejected him for ‘a vile African’, he intends to make her regret it. Elmiro arrives with Rodgrigo, and he tells Rodrigo that he proposes to give him Desdemona’s hand in marriage. He explains that together they can overturn Otello, and urges Rodrigo to persuade the Doge, his father, that Otello has ambitions that are not in Venice’s interests. Elmiro then tells Desdemona that he has arranged something to please her. Full of foreboding, Desdemona asks Emilia what the surprise can be: Emilia wonders whether Elmiro has at last come to like Otello. A group of servants and Elmiro’s friends sing a chorus in praise of marriage, and when Desdemona sees her father with Rodrigo she realises what he has arranged. In a horrified aside, Desdemona reveals that she already has a husband, but no-one hears her. Elmiro is surprised at her reaction to Rodrigo, and Rodrigo pushes her for a response. To add to her confusion, Otello enters, and is horrified to see Desdemona apparently yielding to Elmiro’s pressure and Rodrigo’s passion. His men try to restrain him, but he interrupts and tells them that she has already committed herself; she is married to him. When Desdemona admits that this is true, Elmiro curses her and drags her out. Rodrigo shouts threats at Otello. Rodrigo is still pursuing Desdemona; she pleads with him to placate her father, and then tells Rodrigo that she is Otello’s wife. Rodrigo berates her for spurning his love and leaves swearing that he will punish Otello, referring to him as ‘the traitor’. Distraught, Desdemona tells Emilia that she has revealed the truth to Rodrigo, and Emilia, terrified for Desdemona’s safety, leaves to find some means of escape for her. Otello confesses to Iago that he is eaten up with agony having, as he thinks, seen Desdemona betray his love. Iago reassures him that his victory against the Turks will protect him against his enemies, but hints that he knows more about the situation. Otello insists on knowing the truth and Iago slyly reveals that not only has Desdemona betrayed Otello, but that he has proof of that betrayal and the means of letting Otello take his revenge on Desdemona for her disloyalty: he produces the letter which Desdemona had written to Otello and lets Otello think that it really was written to Rodrigo. Otello reads the letter and believes Iago, who tells him that he must take appropriate revenge. Otello swears to kill her and then himself. Iago, certain now of Otello’s destruction, leaves, gloating. Rodrigo joins Otello and tells him that he knows how to help Otello take revenge. Otello says that he intends to take his revenge on both of them. Desdemona joins them, and both men accuse her of infidelity. Confused, Desdemona hears Otello curse her, and as she begs him to stop, he and Rodrigo leave to fight one another. Desdemona faints, and Emilia comes in and revives her. She tries to lead Desdemona away, but Desdemona is virtually delirious. As a group of her friends try to comfort her, her father reappears and tells her that his pity has turned to cruelty and that she will soon hear what punishment he has devised for her. Desdemona and Emilia are trying to comfort one another. In the distance, a gondolier returning to his home across the lagoon can be heard singing a verse from Dante: ‘There is no greater sorrow than to recall a time of happiness in a moment of misery’. Moved by this song, Desdemona observes that he can at least return home to the bosom of his family – she cannot even do that now. Sadly, she sings to Emilia of a friend she once had, Isaura. Accompanying herself on a harp, she sings of Isaura, wounded by a cruel love, sitting under a willow tree in her grief. The song becomes more and more mournful, and it is interrupted by a violent gust of wind from an impending storm which shatters some panes of the window. She sees this as an omen, and cannot finish the next verse of the song. She asks Emilia to kiss her for the last time and then go. Alone, Desdemona prays that sleep might calm her for a while, and that if she is to die, that Otello might come and weep over her ashes. As she sleeps, Otello enters and reveals that Rodrigo lies stabbed. He imagines that Desdemona is dreaming of Rodrigo, and as he looks at her asleep on the bed, he is moved by her beauty – but, certain that it is his looks which have destroyed her love for him, he hardens his heart as he prepares to kill her. Desdemona murmurs ‘Oh, dearest love’ in her sleep and Otello again holds back. As the storm increases, and lighting flashes reveal her beauty, she wakes. Swearing her innocence and her inability to understand what is happening, she urges Otello to end her misery by killing her. He tells her that Iago has already killed Rodrigo and that it is now her turn. At the climax of the storm, Otello stabs her to death. There is a knocking at the door: it is Lucio, a friend. He tells Otello that Rodrigo is safe, and that Iago is now dead, but that he confessed to all his deceit before he died. The Doge, Rodrigo and Elmiro burst in to tell Otello that he is forgiven, that he has Rodrigo’s support, and that he can now marry Desdemona. Otello, distraught, stabs himself, and dies, saying that Desdemona will indeed now have him, but that he will be punished for his crime.